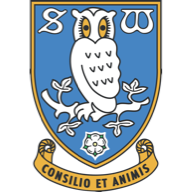 Marco Matias scores twice and George Boyd nets the other as Sheffield Wednesday win at Hillsborough. Marco Matias struck twice as Sheffield Wednesday kept their play-off ambitions alive with a 3-0 Sky Bet Championship victory over Nottingham Forest at Hillsborough. All of the goals came in 20 frantic second-half minutes as Forest, who gave as good as they got in the opening period, fell apart under sustained pressure. The 29-year-old Matias grabbed his first Owls double either side of George Boyd's fine effort as the hosts bounced straight back after suffering their first defeat of the Steve Bruce era on Saturday. 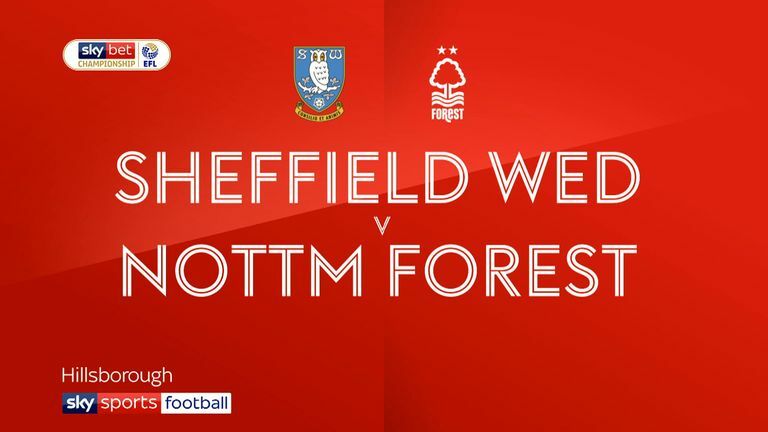 The result continues Forest's awful away record - they have not won in 13 on the road - and leaves their own promotion ambitions hanging by a thread. Both teams made wholesale changes after losing at the weekend, with Bruce's decision to bring in Matias and Martin O'Neill handing a first league start of the season to goalkeeper Luke Steele proving to be the most telling. The home side almost took an early lead when Matias' fifth-minute cross from the right found Lucas Joao, whose header was clawed away by Steele. At the other end Joe Lolley saw a 30-yard effort whistle wide before testing Keiren Westwood with a free-kick from the right of the penalty area. Steven Fletcher's 31st-minute effort from the edge of the penalty box deflected wide, and from the resulting corner Steele produced a superb save to deny Matias after Adam Reach laid the ball off for the Portuguese forward. Lolley found himself in space two minutes later but the ball was smothered by Westwood before he could get a shot away, and Lewis Grabban shanked wastefully wide from 20 yards when a defensive mix-up left him and Lolley two-on-one with Michael Hector. The best chance of the opening period came two minutes before half-time, when Fletcher headed Matias' cross over from six yards. Two minutes after the restart Portuguese forward Matias put the hosts ahead with a 30-yard effort which caught Steele unaware. Wednesday doubled their lead after 58 minutes when Joao flicked a hopeful long ball into the path of Boyd, who rifled a left-foot volley across Steele and into the far corner of the net. Matias put the game to bed midway though the second half as he rode one challenge and saw the ball fall kindly for him from Steele's attempted save before tapping into an empty net. 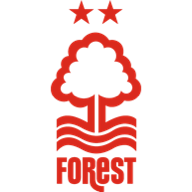 Matty Cash was denied by a last-ditch Tom Lees tackle as Forest sought a route back into the contest, but Wednesday comfortably saw the game out. Steve Bruce: "Considering the problems we had - losing a couple of midfield players and enforced to make four changes - I'm delighted. I'm delighted for the lads that came in; they've worked extremely hard. We didn't deserve what happened on Saturday and all of the squad have done fantastically well. "There's a good spirit amongst them at the minute. Unfortunately games are running out but we've still got a bit to play for and who knows?" Martin O'Neill: "Well beaten eventually but I thought we played exceptionally well first half, spurned some great chances and those come back to haunt you. "We looked dangerous, we had a little bit of pace about us tonight but eventually you've got to put the ball in the net and we've found that difficult all season. I just wanted to see, with an eye to next season, a few players."